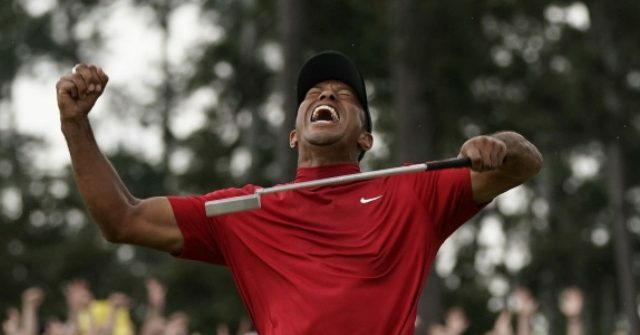 Tiger Woods won the Masters on Sunday, for the first time in 14 years. The victory also represents Woods’ 15th major win, with only three major championships separating him from the all-time record of 18 held by Jack Nicklaus. I was done at that particular time. In order to actually come to the dinner, I had to get a nerve block just to be able to walk and come to the dinner. It meant so much to me to be part of the Masters and come to the Champions Diner. I didn’t want to miss it. It was tough and uncomfortable. I ended up going to England that night, saw a specialist there, [and] they recommended unfortunately for me the only way to get rid of the pain I was living in was to have the spinal fusion surgery. So I decided to go to Dr. Richard Guyer in Texas and had the surgery. Tiger pulled away from the field late and finished 13-under. Brooks Koepka, Dustin Johnson and Xander Schauffele tied for second at 12-under. Woods is now a 5-time Masters champion only two years after telling friends that he was done with golf, and 11 years after winning his last major. The victory also had great personal meaning Tiger, this being the first time his son Charlie was able to see him win golf’s most coveted prize. Earl Woods, Tiger’s father, was able to see him win in 1997.